Prater’s Quick-Take-Apart (QTA) Series Rotary Airlock was designed specifically for applications where quick cleaning or frequent removal of the rotary valve internals is necessary. The QTA permits safe, tool-less removal of the rotor and end plate as one single piece. This eliminates the often time-consuming step of “gapping” the rotor during reassembly for quick and easy operation. Additionally, there are no guide rails that require extra maintenance. Other features of the Quick-Take-Apart Series include eight-blade rotors, available square sizes of 6, 8, 10 or 12 inches, cast iron or stainless steel construction, and direct drive gear-motors available in 9, 15 or 23 RPM. Whether you are interested in our QTA Series or another one of our popular rotary airlock valves, Prater has the solutions that you need for the smooth processing operation that you want. Contact our airlock team today to discuss your needs and let us help you choose the products best suited for your requirements. 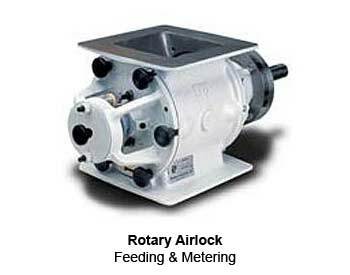 View/print Quick Take Apart Series Rotary Airlock product information document here.